So you are here to learn how to fake a pregnancy test for some reason. Perhaps you are thinking up of something to do as a harmless prank or to draw some laughs from family and close friends. Well, look no further because we are here to give you ideas about faking a pregnancy test. However, you must consider every angle before you push through this idea. For many people, fake pregnancy test might be offensive. On the other hand, it might be acceptable to some. Just make sure you will be having a good time and not the opposite of it! If you decide that doing a fake pregnancy test would be fine after weighing its pros and cons, don’t jump into it straight away. Pulling out a fake test in front of your family or friends all of a sudden would not be very convincing. To make a compelling prank, you have to plan a few weeks ahead of time. Limit the number of people involved. Would this just be between you and your partner? You and some family members or friends? Once you have decided who will be involved or who will be pranked, look into the early pregnancy signs. Consider telling them fake symptoms like missing a period, having morning sickness, and so on. This will make them more inclined to believe that you are pregnant. Now we are ready to learn how to make a fake positive pregnancy test. The good thing is the there are so many ways to choose from! An expired pregnancy test is expected to give faulty results. If you know someone who can give you an expired or rejected test kit, that might help you get a fake positive. Probably the easiest way to make a fake positive test result is to acquire a fake pregnancy test kit from gag and prank stores. These look like legitimate test kits but they always give a positive result. You may also find these tests in online stores. You will need a simple pregnancy test that just shows lines or a plus and minus sign for this to work. Drawing an extra line on the strip is simple but may be tricky. For this to work, you have to get the right shade of the marker for it to go unnoticed. Pry open the test and draw the line, Damp it with a wet finger and then close the lid. Another easy way to make a false positive test result is to use cola or soda. Just pour the soda into a cup, dip the test strip long enough into it, and wait for the positive result. If you are up to going full performance and want to appear as authentic as you can, then why not ask a pregnant friend to be your accomplice? You simply need to buy a real pregnancy test and ask for your friend’s urine sample. Now you have a real positive test! You might also want to wait until you are on your period before you do the test. Mixing blood with urine might mess up with the test kit and give you a positive test result. Keeping the pregnancy test kit standing long after you have used it might eventually lead to a “positive” result. This is caused by the evaporation line, resulting from evaporated urine that makes your test look like it has an extra line on it. A contaminated urine sample might lead to a false positive test result. Put the urine in a small container then add the soap. Make it foam and let it settle before dipping the test kit into the solution. You will also need a simple test kit for the Q-tip prank to work. Also, prepare a sticky label and a Q-tip. Pry open the test kit, cut the sticky label, and then stick it onto the strip. Moisten it with the Q-tip to make it look faded and more legitimate. Adding water-based coloring to urine might mess up with your urine chemically to induce a positive test result. Keep your urine sample in a cup and add the food color or any water-based coloring, then dip the test kit. Your hair blower might come in handy in this trick. Test kits detect hCG content in your urine with the help of hCG antibodies and indicator. Using a hair blower on the kit will cause the hCG antibodies to degrade, hence giving you a false positive result. The reason that this item is last on the list is precisely because this should be the last option you should consider. Using an already used test for sure would give you a positive result, but it is not exactly the most sanitary option. Since ovulation test kits look a lot like pregnancy test kits, why not get that one instead? Ovulation tests, unlike pregnancy tests, do not check for hCG levels but instead, check whether you are ovulating. Use this around the 14th day of your cycle to test positive for ovulation. Allow the test kit to sit for a long time before showing another person. Pregnancy test strips fade away for some time after using to prevent them from being used to show false positive results. Use water instead of urine or add water to dilute your urine. If you will not be using urine in the first place, you would surely get a negative result. Your hCG levels will usually be high in the morning. If you are still in the earliest stages of your pregnancy, you are less likely to get a positive result during the mid-day. Consider taking the test in the middle of the day instead of doing it first thing when you wake up. Using a less sensitive pregnancy test especially works if you are still in the earliest stages of your pregnancy. You already have lower hCG levels in the first place so a not-so-sensitive pregnancy test is not likely to give you a positive test result. Test kits need to be used in a sterile condition, and they need to be handled properly. Contaminating the strip might yield a false result so you might want to consider contaminating the strip to tamper with the results. Pregnancy test kits need enough time being soaked in the urine for it to show a proper result. Some take a minute, some two, or more. A simple way to get around this is not to expose the strip to the urine for too long. If exposing the kit to heat might yield a fake positive result, doing the opposite would do the opposite. Refrigerating the test kit would expose it to moisture. Moisture desensitizes the hCH detector, hence would make you produce a false negative result. Since pregnancy test kits are reactive to hCG, you may rig the test using antibiotics. Simply place the urine in a cup, powder the antibiotics, and then mix. Dip the test strip into the mixture and see the results. A defective pregnancy test kit may work for you both ways so it is not always a guarantee that you will get the results that you desire. If you can get your hands on a rejected or expired test kit, you may try this method. Of course, a test pregnancy kit would not work if it is not properly used. By holding the kit with the hCG strip upside down or in the opposite direction, you are not bound to get accurate results. Already 100% into the idea of a false pregnancy test? Before going through the various ways of faking a pregnancy test, you must first understand how home pregnancy tests work. Home pregnancy tests work by detecting the human chorionic gonadotropin (hCG) levels in your urine. This hormone becomes present in your blood and urine after the fertilized egg gets implanted inside the uterine lining and once it begins to form a placenta. hCG levels increase every 72 hours through 8 to 11 weeks of pregnancy, and from there stabilizes. Not all tests are made equal. Some are more sensitive to hCG levels, while others are not so much. It is recommended that a urine home pregnancy test is taken 12 to 14 days after conception. It is easier to get false negatives than false positives if you are using a home pregnancy test. However, there are circumstances wherein a woman might unintentionally get a false positive test result. One of these possible reasons is an early miscarriage, which is also called a chemical pregnancy. Perhaps the fetus was miscarried so early into the pregnancy that it was unnoticed, thus hCG would still be detected. If you have had a really heavy period 3 days after your period is supposed to be due, perhaps this is an early miscarriage. Second, if you a woman has had a miscarriage recently, then hCG would still be present in the bloodstream. Hence, this leads to a false positive test result. Third, if you are taking medications such as methadone, this could affect the pregnancy test kit and might actually give you a false positive. Lastly, a false positive result might be due to a defective kit. Check if it is expired. There are many reasons behind making a false pregnancy test result. For example, you might do it for April Fools’ or Halloween, or you are simply planning a prank for no special occasion. This ultimately aims for laughs or entertainment. Although special care must be taken before doing a fake pregnancy prank, perhaps there is no malice behind these kinds of motives. Another possible reason is wanting to know whether your partner or your family would be ready for another addition to your family. You might want to watch how they would react, or if they would welcome the responsibilities that come with having a baby. If properly executed, this may be a helpful experiment. On the other hand, if you are planning to fake a pregnancy test for malicious reasons, do think it over and over in your head. Always think about the possible consequences and the damage it may cause the people you care about. For example, if you want to do it out of spite or revenge, think it over. Other possible motives are to manipulate other people, like making a partner stay. Some do it to take advantage of privileges reserved for expectant mothers, such as time off work or good seats in public transportation. Hopefully, these are not the reasons you want to fake a pregnancy test. Otherwise, it is extremely unfair for women who are actually pregnant and are experiencing difficulties. You have to consider several factors before executing your plans for faking a pregnancy test. You never know, but perhaps the reasons not to do it far outweighs the reasons for doing it. First, it might be disrespectful to friends or relatives who are infertile or for those who lost a baby. Second, it may hurt or offend others, especially those who are really excited for you to have a child. Third, it might lead to awkward questions once you reveal that you are not actually expecting. Fourth, you may not gain the trust of the people around you when you are actually pregnant. For these reasons and more, perhaps one of the considerations you need to make is the scope of the audience. It might be a better idea to limit the prank to your partner or to a selected number of people. This way, it is easier to control the reaction. Second, think twice before sharing on social media. It would be hard to control the reaction of people you barely know and thus this may cause confusion. Lastly, always reassure the person or persons you will be pranking at the end of it to make sure that no boundaries were crossed and no feelings were hurt. In this article, we talked about how to fake a pregnancy test, either to get a positive or a negative result. Doing these methods do not guarantee that you would get the result that you want due to other factors such as the quality of the test kit. Nevertheless, trying and seeing them for yourself is not a bad idea. There are different reasons for any person to want to produce a fake pregnancy test, but we sincerely hope that this is done in good spirits and for the laughs. 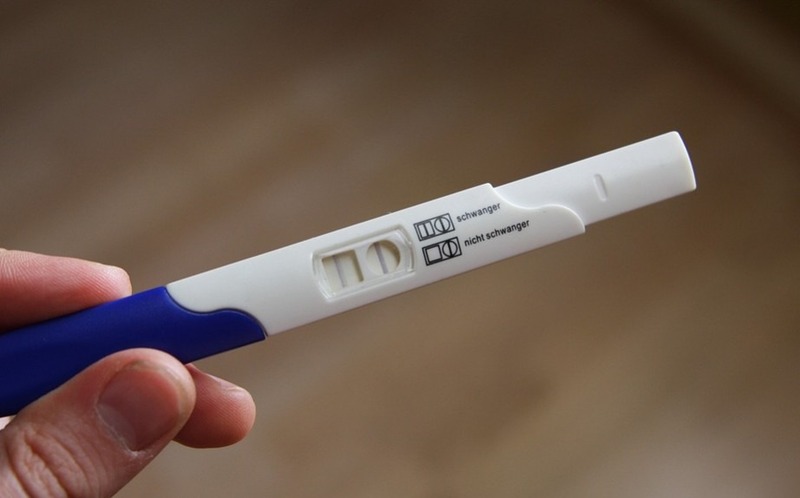 Before doing a fake pregnancy test, you must always think about the possible consequences of an action that you might initially think of as a harmless prank.